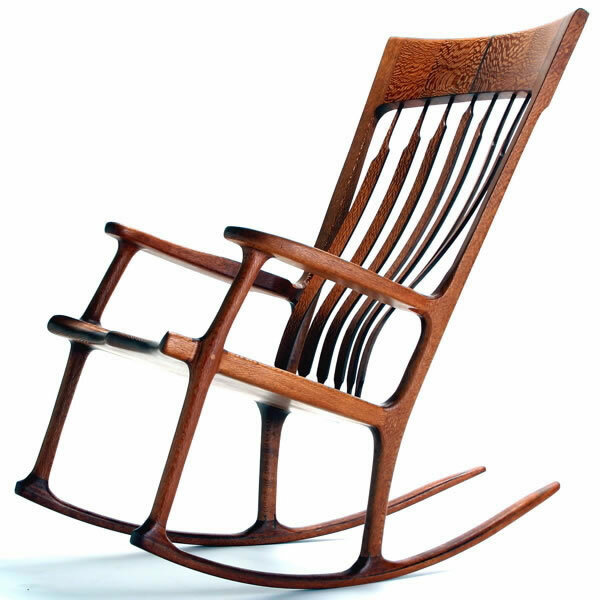 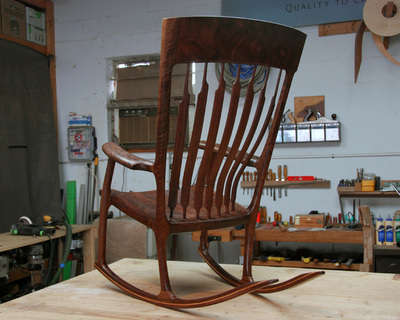 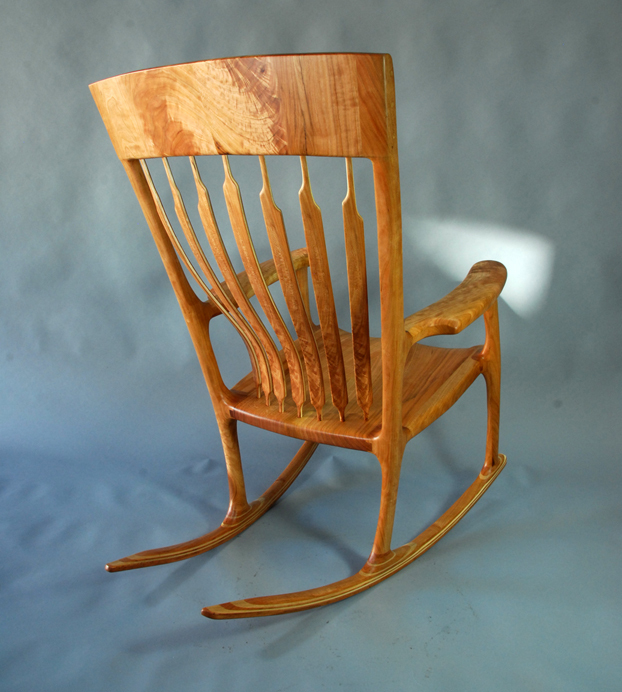 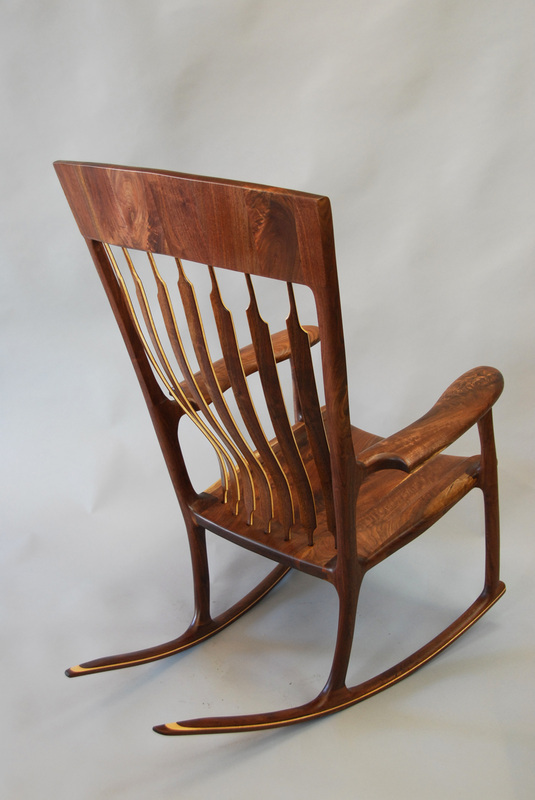 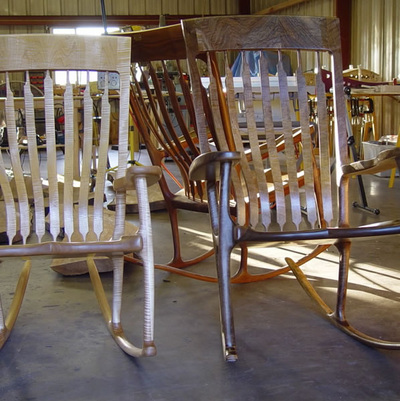 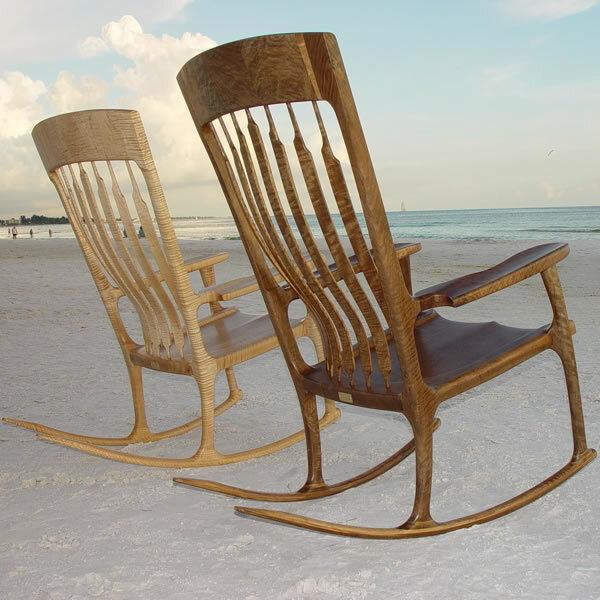 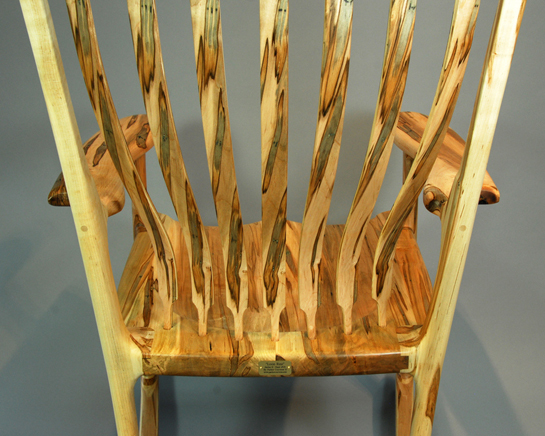 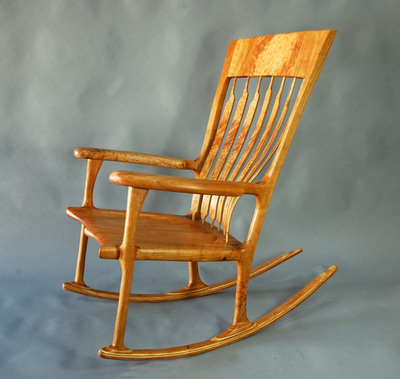 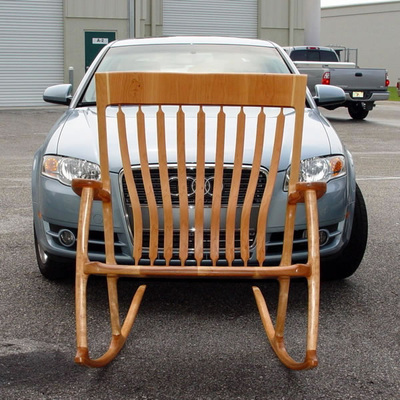 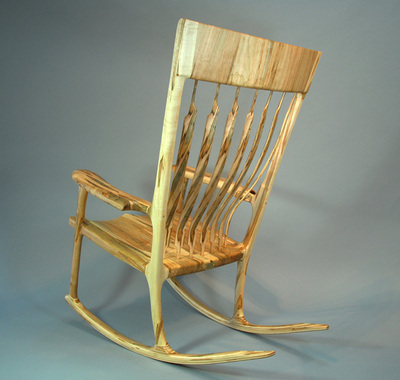 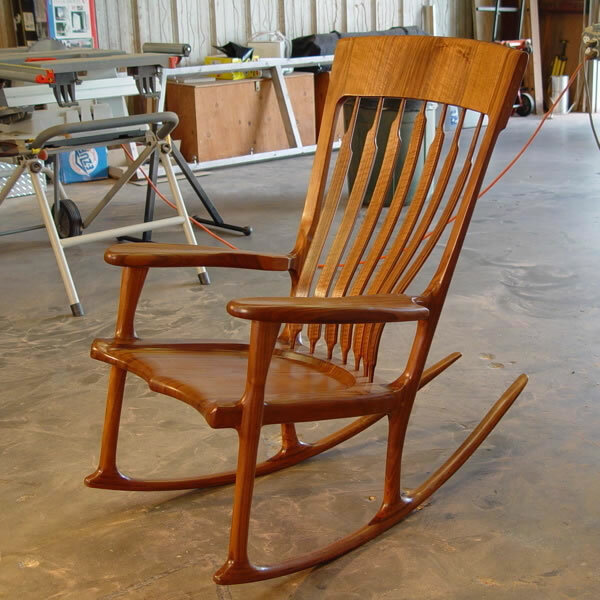 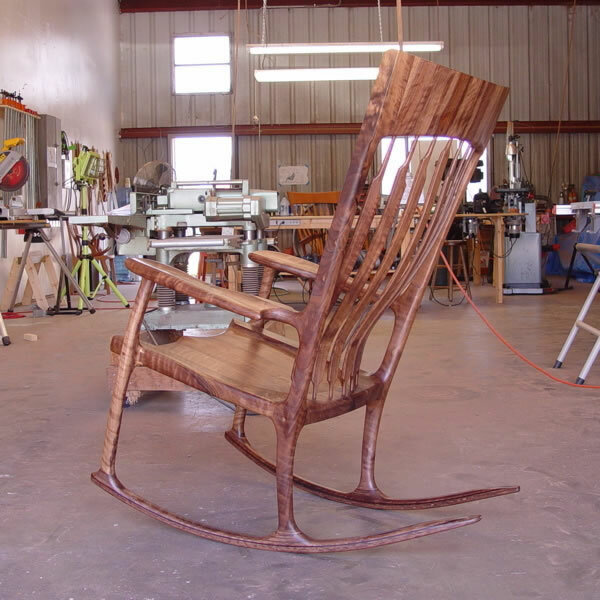 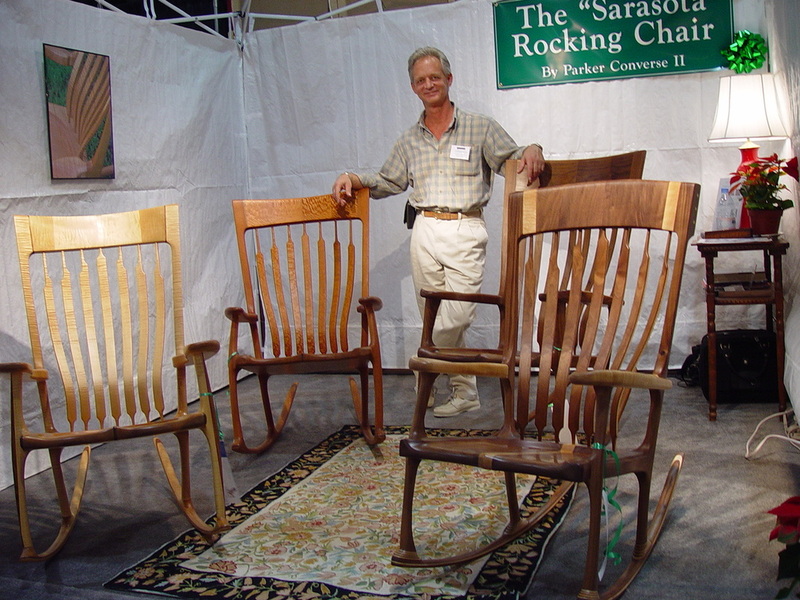 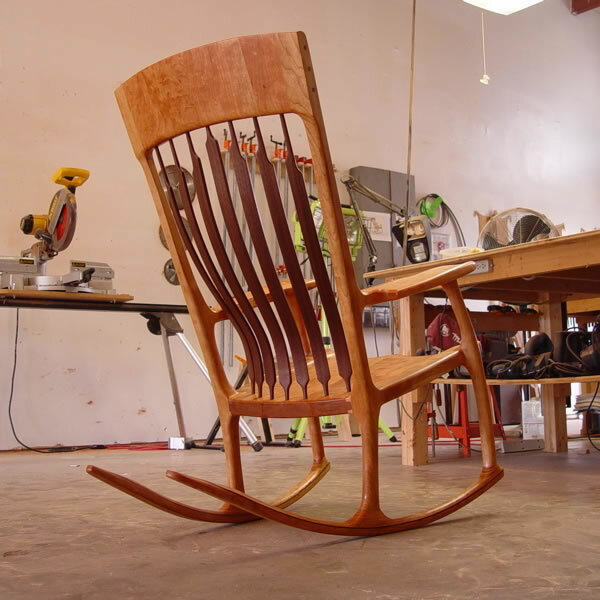 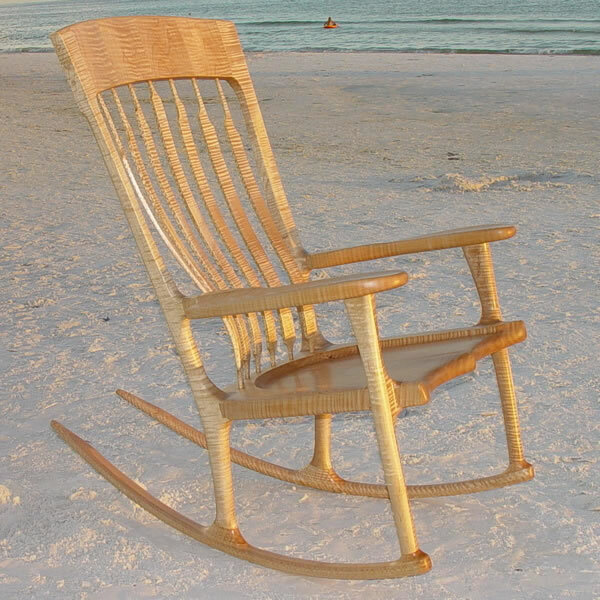 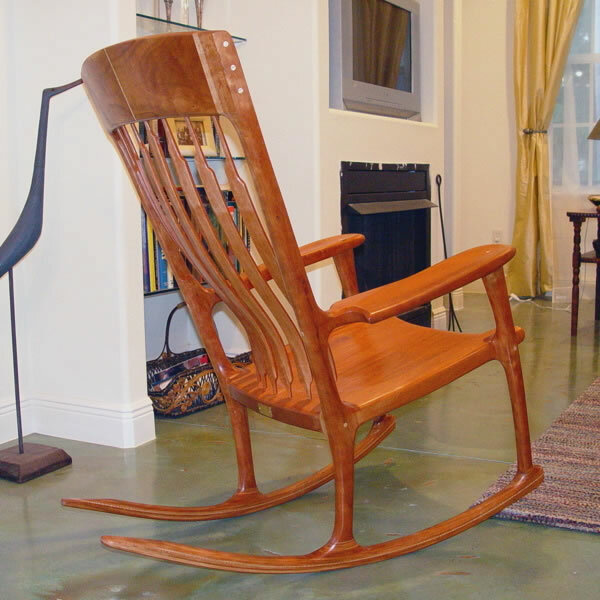 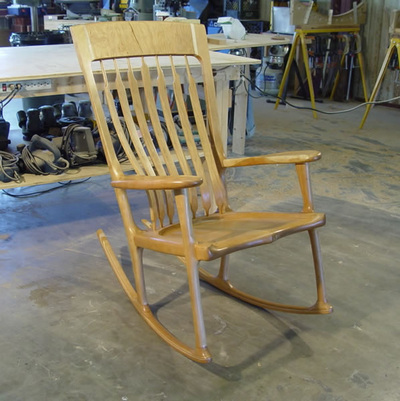 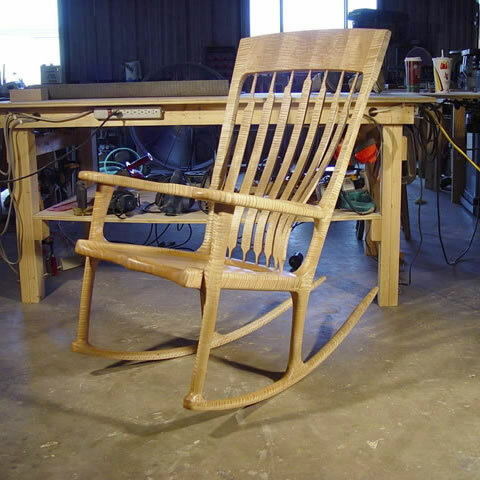 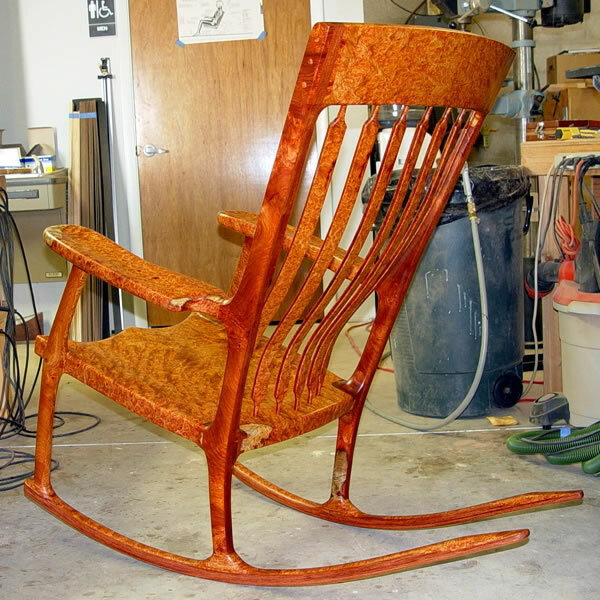 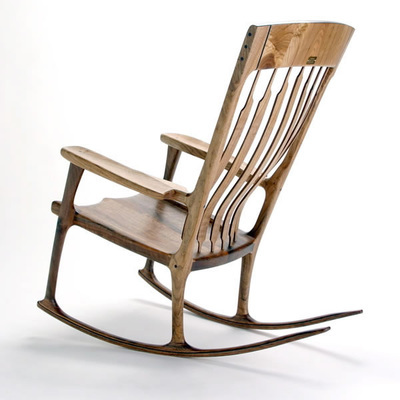 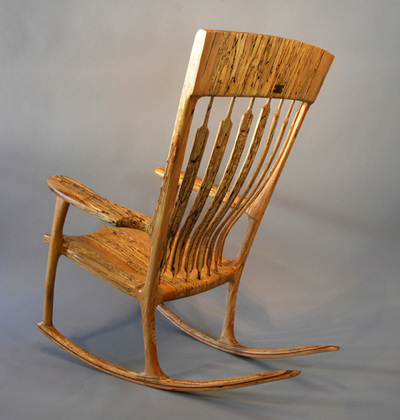 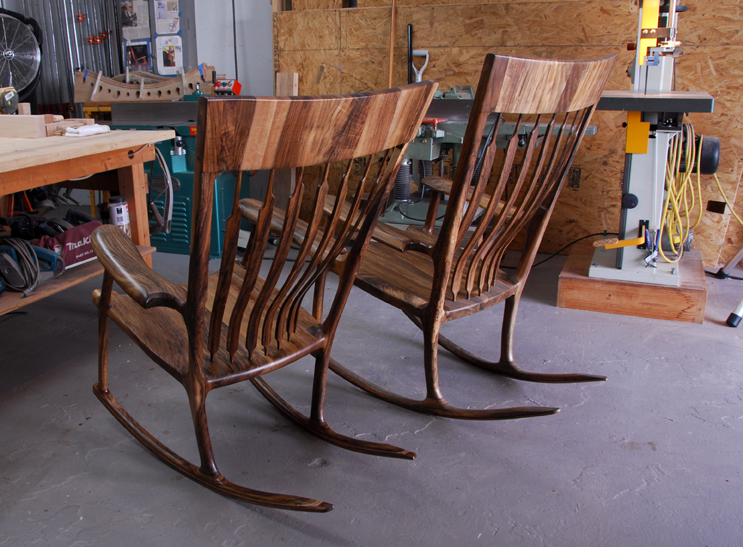 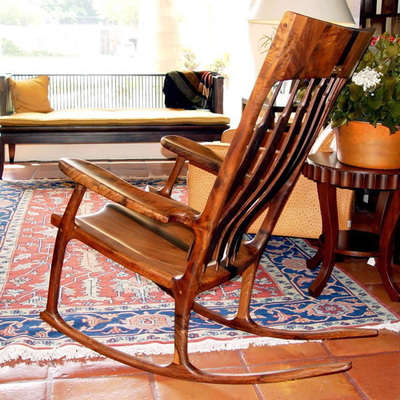 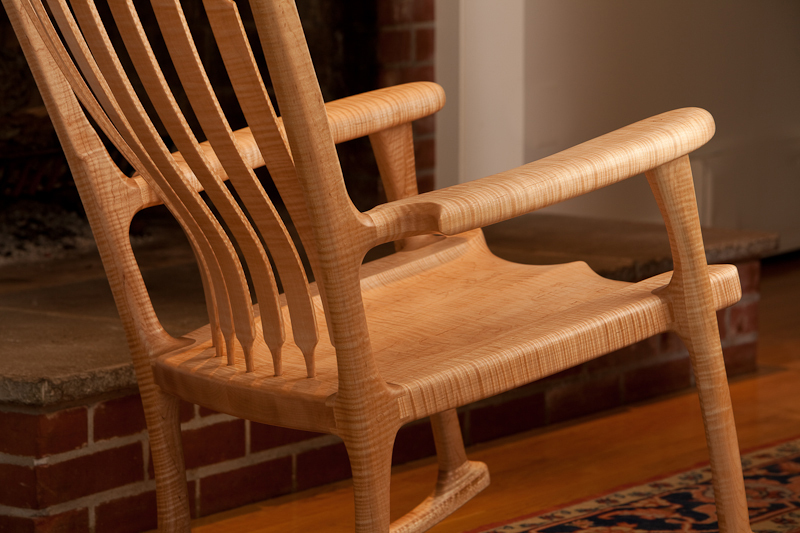 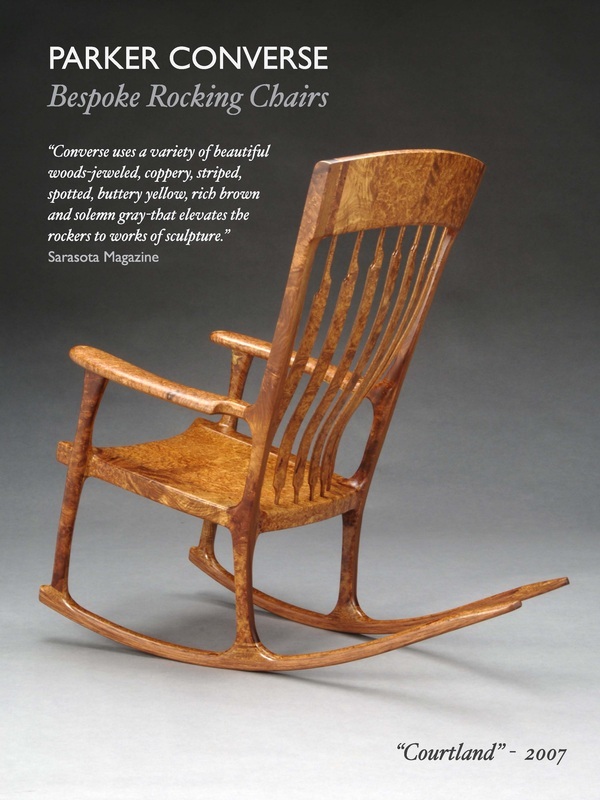 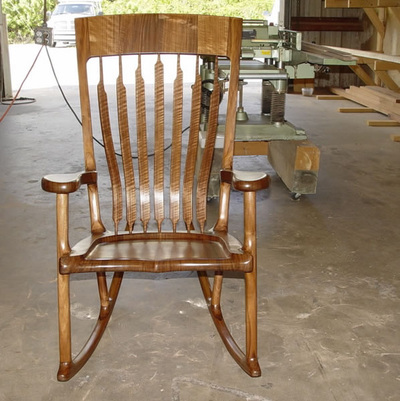 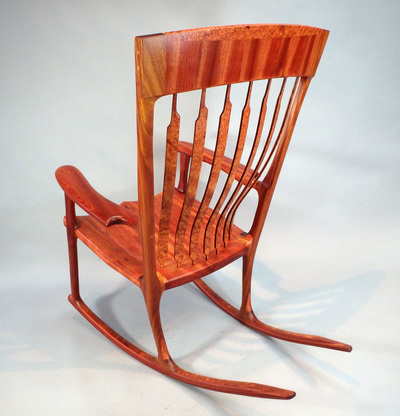 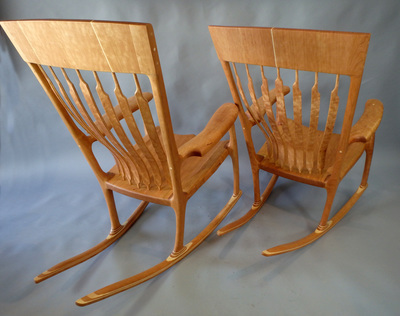 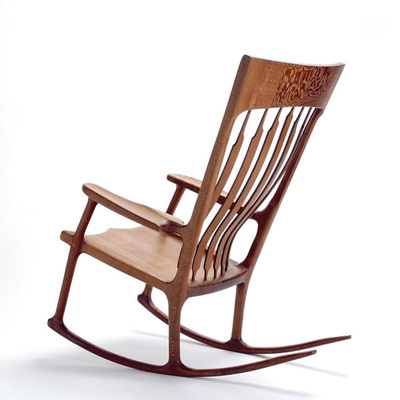 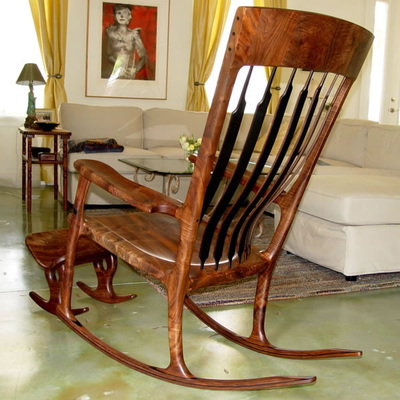 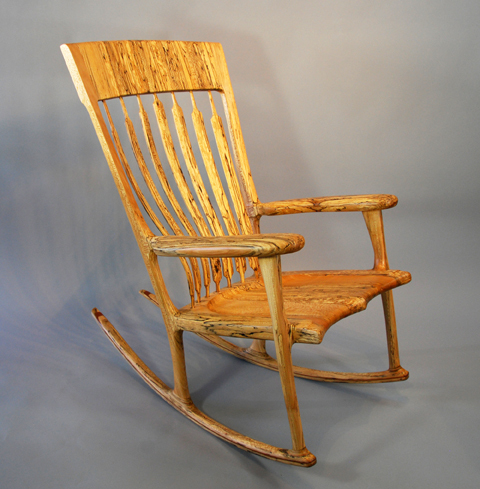 I have built almost 100 custom rocking chairs to date. Pictured below are a few of them. Most of the woods exhibited are always available to me through my network of specialist figured, hardwood lumber people around the country but of course no two walnuts, cherries, maples, lacewoods, burls or other any other wood is every precisely the same as another. So see if there is color or figure that you are attracted to first then think about the space you intend to put the chair, who will be using it and for what purposes. 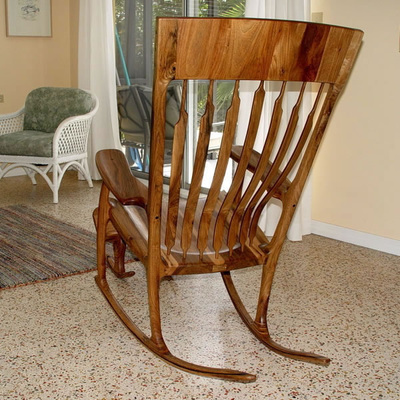 Do you want the chair to blend in with the other pieces in the room or do you want it to stand out as a piece of sculpture? 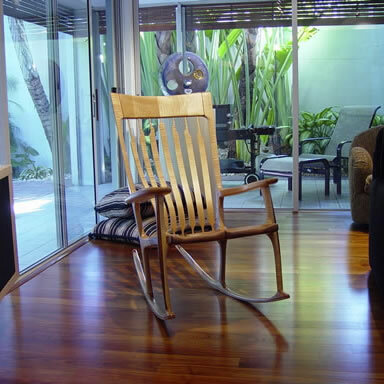 What sort of flooring do you have in that space? What color is it? 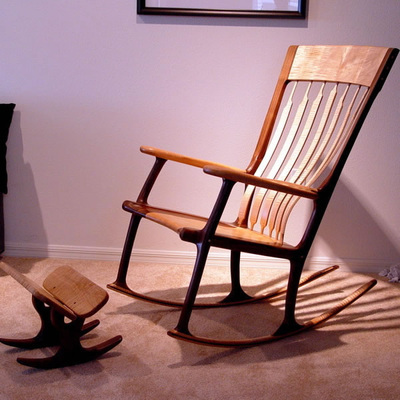 Will you be mostly reading in the chair, napping, nursing or socializing? 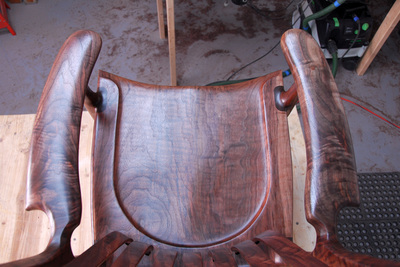 Answers to these questions help me to make suggestions to you about things like arm and seat-front style, angle of repose, headrest design, etc. 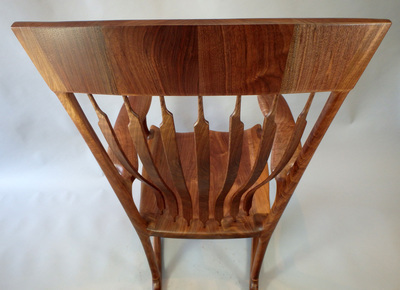 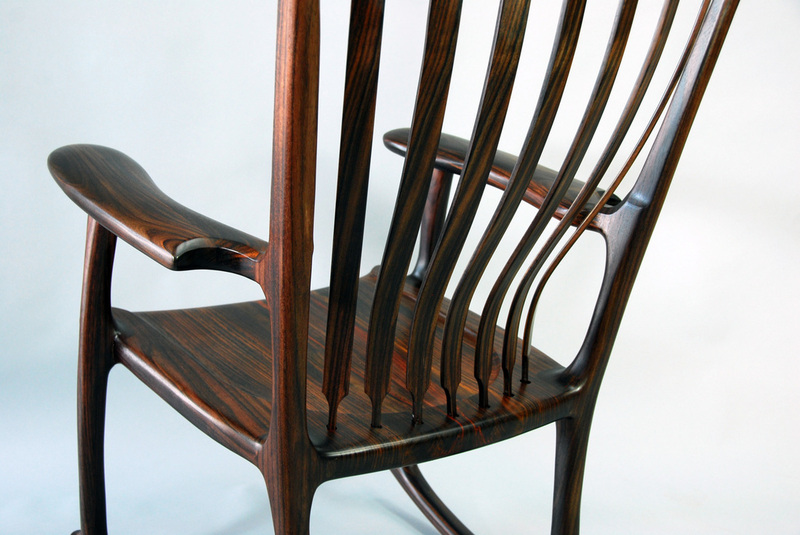 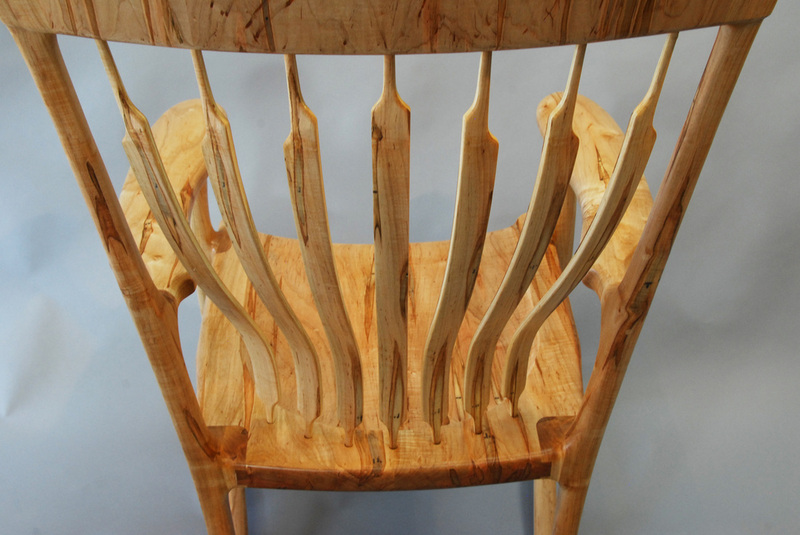 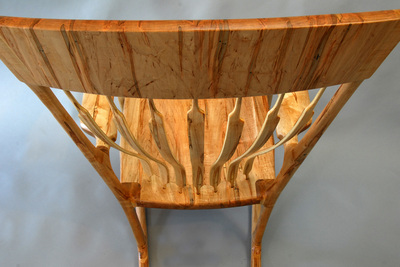 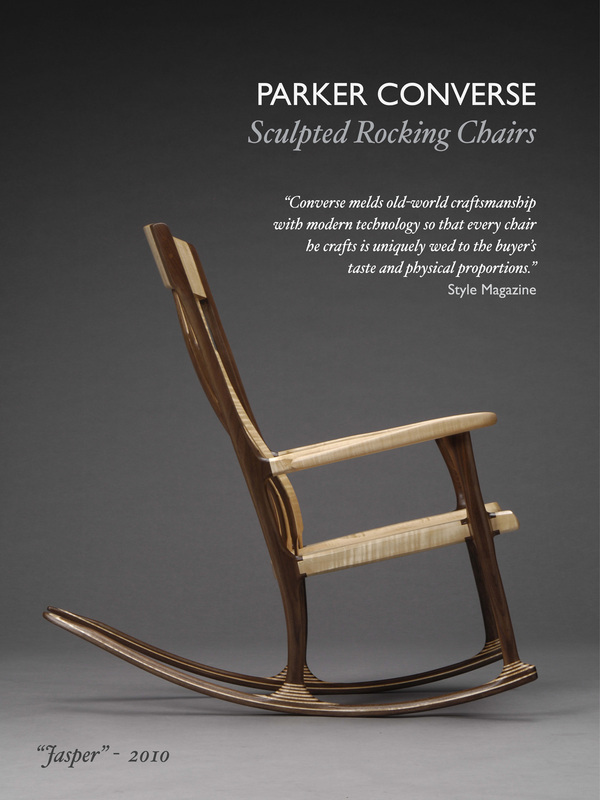 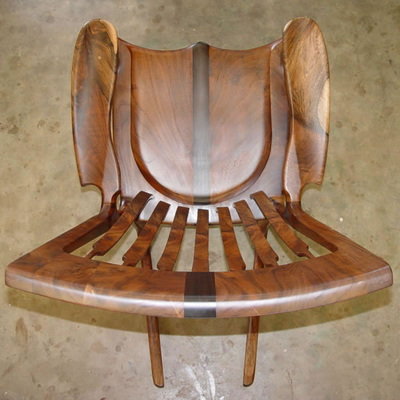 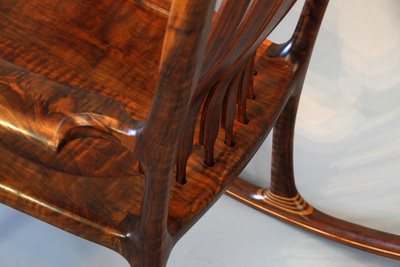 I think of the design and building of one of my chairs as a real collaboration between the artist and the customer ensuring that you get something that is unique to you and your tastes.